Accepting clothing, housewares, shoes & small appliances. St. Vincent de Paul Ministry-wants to thank you our parishioners for your generosity, through the 2nd collections you helped us help our brothers & sisters in Caldwell County. Through your donations we were able to assist them with emergency help with utilities, heating/gas, medical, shelter or food. March you gave a total of $2,017.13 & we were able to assist 31 persons & 13 families totaling $1,507.40 & 4 bags of food ($80). April you gave a total of $2,096.10 & we assisted 5 persons, 16 families totaling $888.27 & 5 bags of food ($100). In May you gave $2,153.25 & we assisted 23 persons & 10 families totaling $1,263.20 & 9 bags of food ($180). With your continued generosity we will be able to keep helping those less fortunate. Thank you again for your generosity. August 19th 10 am-2 pm Pecan St. Parking lot. Will accept used clothing and household items. They will NOT accept large appliances. Should you require more info please call Mary Martinez, President St. Mary’s at church office. The Society of St. Vincent de Paul provides services to those in need and does not discriminate based on race, color, religion, or orientation. Those we serve are one in likeness in their desperate need for assistance. calls received after 5:00 PM on Thursday will be returned by a volunteer on Monday. Calls received during the week will be returned in the order that they are received. Please leave a message with your full name and phone number and assistance needed. Our society can only assist on a one time basis. Please check our Church bulletin for any changes. 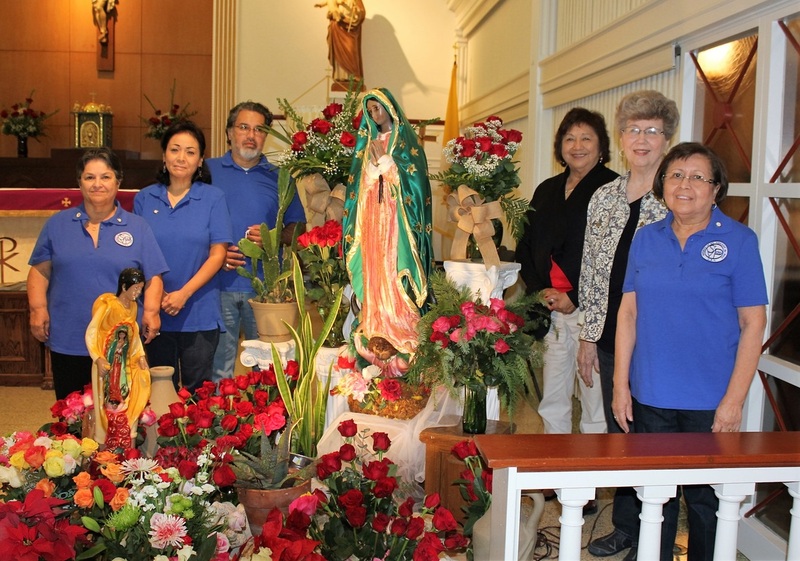 The St. Vincent de Paul Society members would like to express our heartfelt thanks to Fr. Ed for his support and prayers that made our Christmas food bags and gifts event a great success. With Gods help our “Community in Need” were able to have a blessed Christmas season. Christian Garza, Laura Cruz, Cesar Briceno and Christopher Facundo who volunteered and helped out with this event. Thank you to the parishioners of St. Thomas Moore Catholic Church in Cedar Park, Texas who provided the gifts. they can be reached to set up an appointment. ​ ***Please be advised that the parish office staff is not responsible for appointments, messages, food pantry or financial assistance.